Is this the end of an Instagram era? Instagram founders Kevin Systrom and Mike Krieger are leaving the company after founding it 14 years ago. With a major success, eight years after they have founded and raised Instagram to 1 billion monthly users, Kevin and Mike sold it to Facebook six years ago. The two founders didn’t give a reason, but they said they will leave the following weeks, take some time off and then maybe create some other product. Why Instagram Founders Leave the Company Now? This is a question that everyone is asking since the decision was made public. Rumors say that, even though until now Instagram had autonomy, Facebook is slowly taking over and is being more and more intrusive within Instagram. And this was only seen this year when some Instagram users began to see Facebook notifications within the social network. Another theory says that the two Instagram founders feel that they’ve done everything to grow the social network and it is time for them to let someone else take charge of it and continue growing it. It seems that there are no hard feelings between Systrom, Krieger, and Zuckerberg, the three of them saying that the collaboration was a fruitful one, despite some opinion divergencies along the year and that the opportunity to work together has helped everyone grow and they have learned a lot from each other. The founders even said that they can’t wait to see how Instagram will grow along together with Facebook and how it will change after they leave. This leave follows WhatsApp’s founders one, but it seems that this one was a more pleasant one, without any “Delete Facebook” messages from Instagram’s founders. 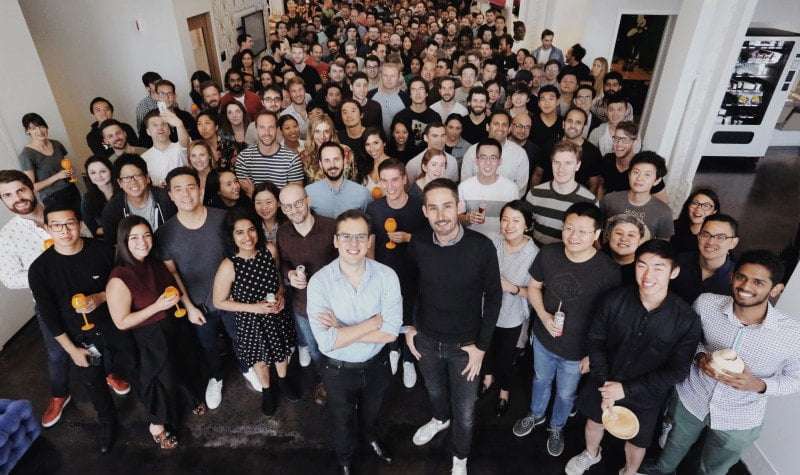 We are really curious about both the future of Instagram without their founders and how the people in charge will develop the app, as well as about the next project that the founders will create. How about you? What is your opinion regarding this? Do you think that Instagram will continue to have the same impact on its users or things will change? See also: How to Avoid Losing Instagram Followers?